TEACHERS are this week plotting industrial action and street protests to register their discontent with a government they see as unresponsive to their concerns. Civil servants have been demanding that the administration pays their salaries in United States dollars as the surrogate Bond Notes and RTGS currencies continue to plunge in value. Unions are also pushing for a pay hike, citing a rise in the cost of living. Progressive Teachers Union of Zimbabwe (PTUZ) secretary general Raymond Majongwe said the government must urgently address concerns raised by their members. The union plans to stage a march in Harare this Friday. "Our (demonstration) must be a resounding success and we urge our members to fully support our 9 November Harare march," said Majongwe. 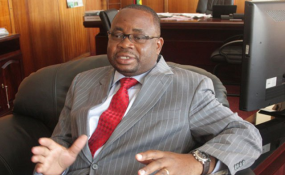 Primary and Secondary Education Minister Paul Mavima recently told hundreds of primary school heads in Victoria Falls that the administration had no means to meet the teachers' pay increment demands. Union leaders subsequently threatened a crippling strike if the administration goes ahead with plans to freeze wages as finance minister Mthuli Ncube implements austerity measures to control runaway government expenditure. Meanwhile, the Amalgamated Rural Teachers' Union of Zimbabwe (Artuz) has indicated that industrial action will start this Thursday. "ARTUZ and other revolutionary teachers will embark on second phase of our planned job actions this week on the 8th and 9th of November we are once again withdrawing our labour in protest against underpayment," the union said in a statement. "We demand our salaries in US dollars as negotiated as agreed in 2012. We note the arrogance of the employer who has given a deaf ear to our noble call for conditions of living adjustment to our salaries. "It is our deep-rooted conviction that our series of protests will eventually melt the (government's) cold arrogance and our salaries will be paid in US dollars is certain." ARTUZ has also thrown its weight behind the Harare march by PTUZ. Government health workers have also made similar demands to be paid in US dollars, increasing the pressure on President Emmerson Mnangagwa's administration.